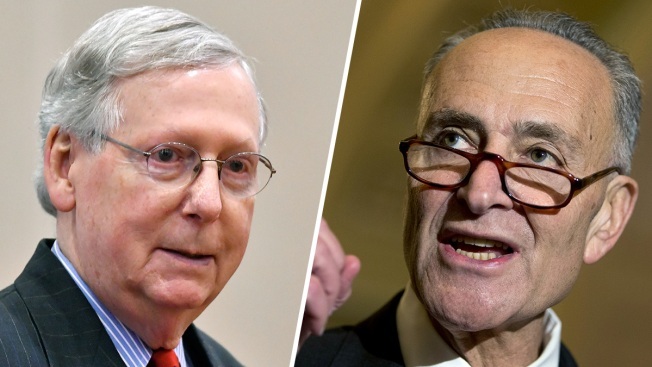 U.S. Senate Majority Leader Mitch McConnell, left, and U.S. Senate Minority Leader Chuck Schumer. Congressional Republicans lauded President Donald Trump’s decision Monday to nominate Brett Kavanaugh as the nominee to replace Justice Anthony Kennedy on the Supreme Court, while most Democrats fiercely slammed the pick. Senate Minority Leader Chuck Schumer, D-N.Y., meanwhile, said he will "oppose Judge Kavanaugh’s nomination with everything I have, and I hope a bipartisan majority will do the same."